William and Roberta Hayes spent the months of March 2013 and March 2016 (invited back again March 2018), living in the 162-year-old, Battery Point Lighthouse in Crescent City, as lighthouse keepers and giving tours. 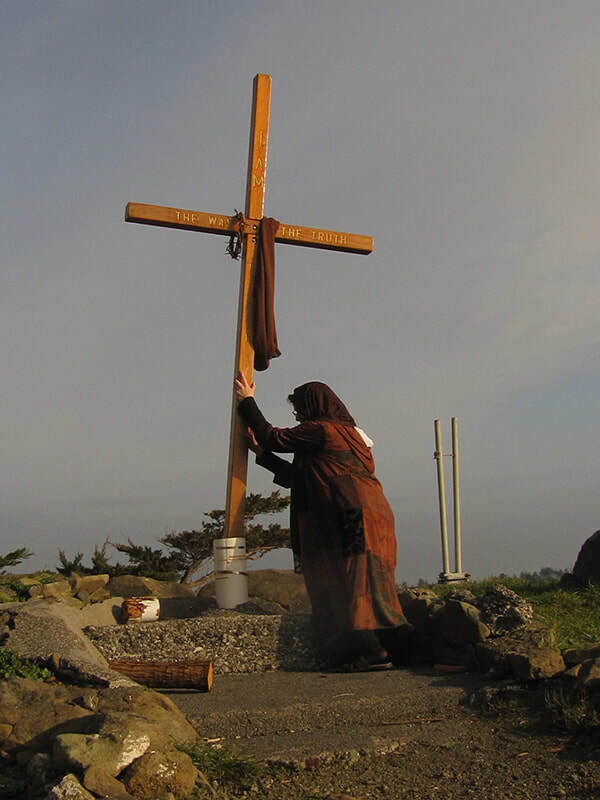 Both times, William walked the cross through Crescent City and up to the lighthouse, where he mounted the cross on the flag pole. 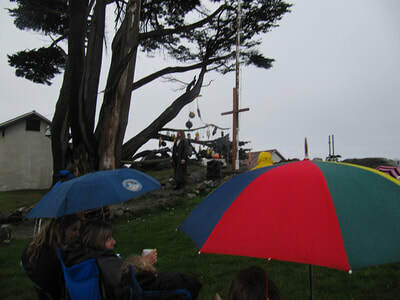 Also, both times, William preached a sunrise, Resurrection Sunday service. William and Roberta worked with Our Daily Bread Ministries, 1135 Harrold St.,ministering to and with the homeless and staff in a variety of ways, both years, as well as other times throughout the intervening years. 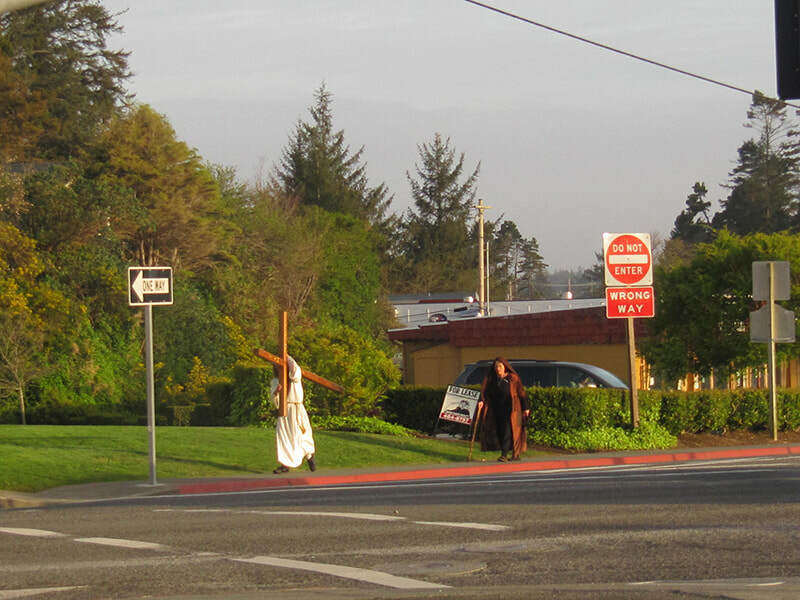 William walked the cross through Crescent City in the morning starting at 8 am from the Daily Bread mission. 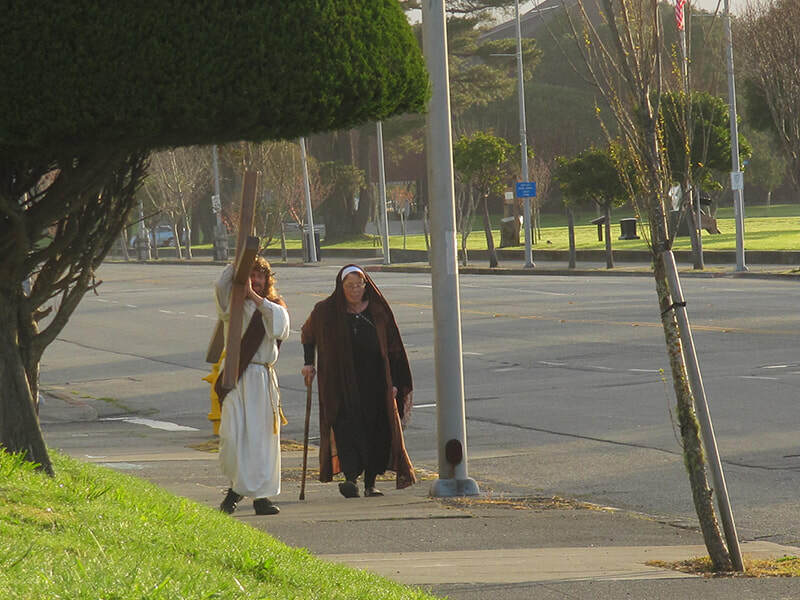 One lady was dressed as Mary and walked behind him. His route took him down Hwy. 101, then turned to go through the main downtown (where the grocery store, banks, Triplicate are), then down to Front St. ending at the lighthouse. There were a lot of reactions from people, from the honking of horns, to people stopping and watching them. We heard later about a lady who was driving, was so overcome by what she saw, she started crying and stopped her car to recover. 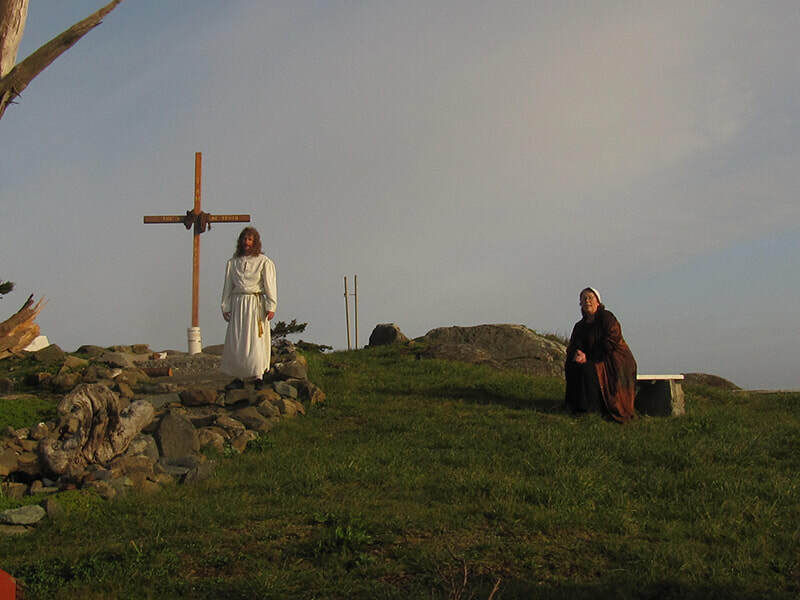 We got back to the lighthouse about 8:30 and William walked the cross up the hill. Roberta heard people talking on the beach about how spectacular that was. He planted it in the hole where the flag pole used to be (since the flag/flag pole was destroyed in February from a storm). We set up our sound system out there and played praised and worship music all day. Then around 9:30 we started our all day prayer meeting, we sang a bit then William preached a bit. Those who weren’t staying on the isthmus all day left around 11 when the tide came in. Only 2 ladies stayed for the day, we had a great day of praise and prayer. Wow, what an awesome day – cloudy at sunrise, but as the morning progressed the sun came out, very little wind, and it turned out to be a beautiful day! We started about 8 am, at least a dozen or so people were here at the start, others arrived throughout the morning. We had borrowed a large coffee maker and a table from Daily Bread Ministries, so we had coffee, cinnamon rolls, and cookies out for everyone. We sang for a bit then William gave an awesome message. 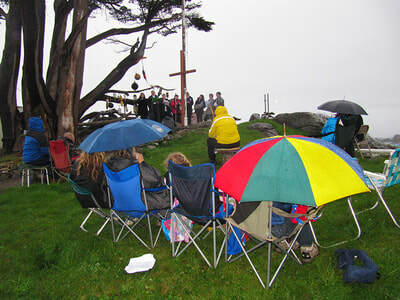 Everyone was in complete agreement that it was a wonderful service. We kept the coffee and cookies out for the rest of the day to give out to those who visited, as well as the music – we kept it playing and several people stood out there by the cross and got their pictures taken, many came up to us (we wandered around throughout the day talking to people) and said how much they appreciated the music and treats. 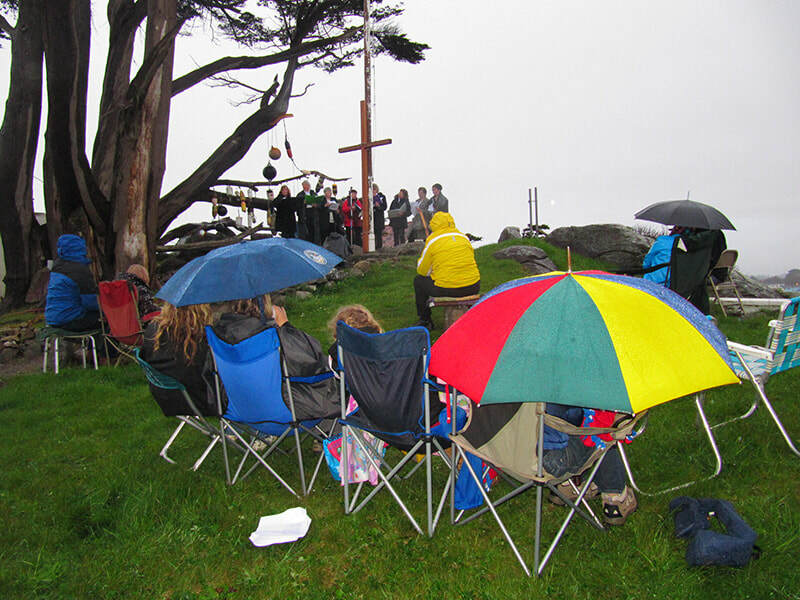 During their stay there, God asked William to meet with leaders from several churches to bring them together for a sunrise Easter service (March 31st) at the lighthouse. The couple met with various church members from: Four Square, Methodist, Catholic, Episcopal, Cornerstone, Daily Bread Ministries, and Pelican Bay, then start a weekly prayer meeting at the lighthouse. Posters were hung up all over town and in the newspaper, inviting the public to the service. 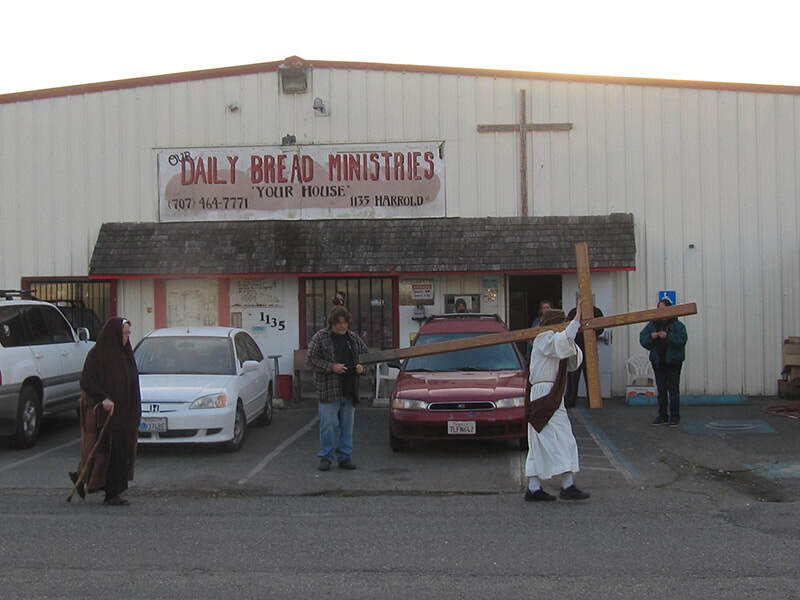 William preached a few times at the Daily Bread Ministries. 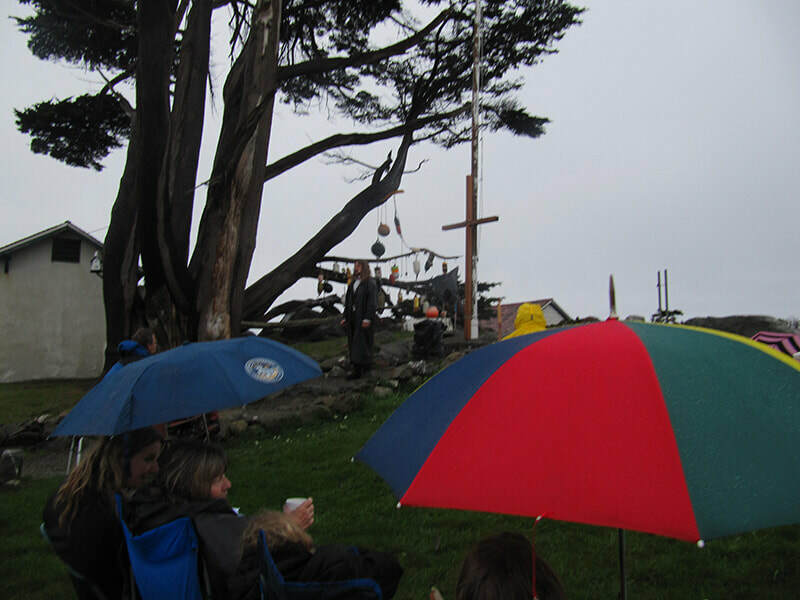 Then on Good Friday, William walked the cross through the town then up to the lighthouse while a band of believers followed while singing and praising God. 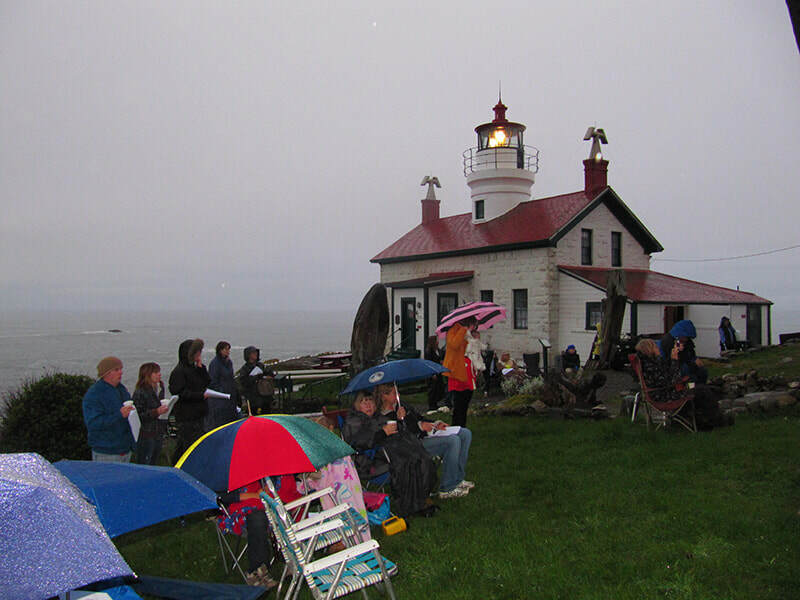 Easter Sunday was rainy, but a wonderful group of dedicated believers filled the lighthouse grounds: a choir from the Methodist church were there to sing, believers from all the above churches attended, and William preached.